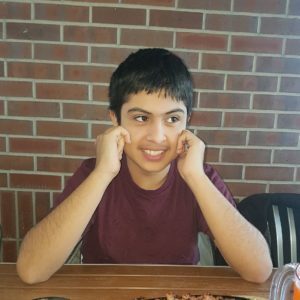 Nick is a teenager with a diagnosis of Autism. In his therapeutic learning class, at Marian Hope Center, he is successfully using a tablet and apps to communicate. Recently Hy-Vee ran a special chip promotion for Variety KC. In a single day, they were able to raise enough to buy a tablet and apps for Nick’s full-time use! Hy-Vee gave Nick a voice. Having that voices increases communication with his family, teachers, and friends. Best of all, it reduces the frustration of not being able to relay his wants and needs. 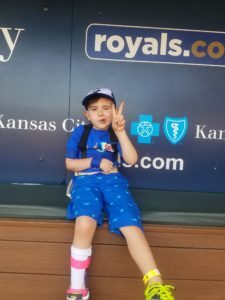 It’s a great example of a Kansas City company helping Kansas City kids! If you want some ideas of how you and your company can help, email varietykc@gmail.com today. 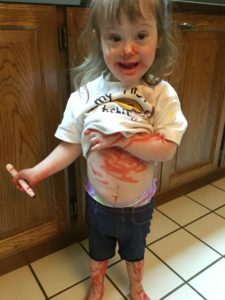 Down Syndrome isn’t holding her back! Three-year-old Ellie is active, curious and full of life! Diagnosed with Down Syndrome in utero, Ellie’s parents were determined to find resources, develop a supportive network, and work hard to make sure Ellie had opportunities for inclusion. At the same time, they know how interacting with Ellie also benefits her “typical” friends. 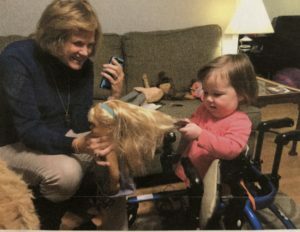 In order to be more independent and to keep up with her busy friends and sister, Ellie could benefit from a Hand Foot Tryke. She has had a chance to use one during therapy and loves it. 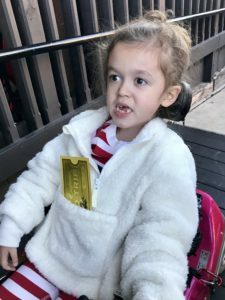 Unfortunately, it isn’t a device covered by insurance – so her family has reached out to Variety KC. Variety partners believe every child has a childhood right to ride a bike! And, Ellie is getting hers! 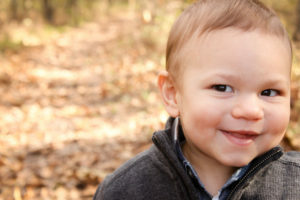 You can help other kiddos like Ellie, donate or find out more HERE.